Chase Elliott, driver of the No. 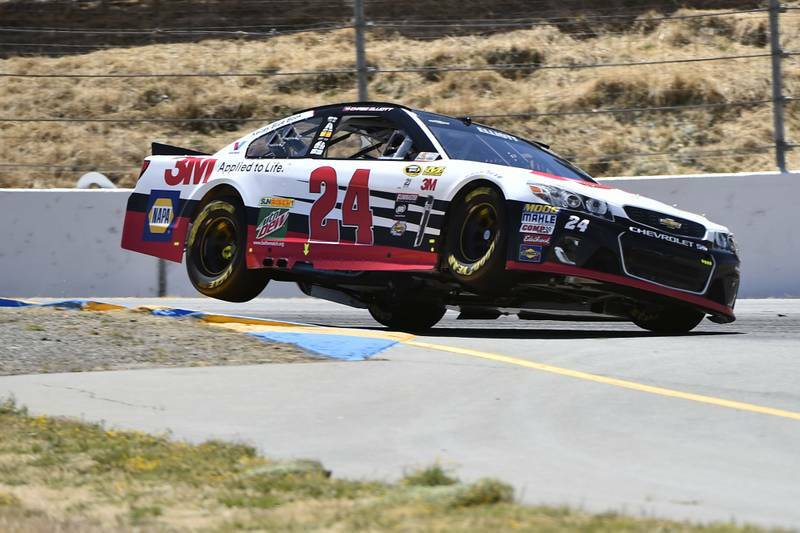 24 3M Chevrolet SS with NAPA AUTO PARTS as a major associate partner for Hendrick Motorsports, was the highest finishing rookie with his 21st-place finish in the NASCAR Sprint Cup Series race at Sonoma Raceway Sunday afternoon. 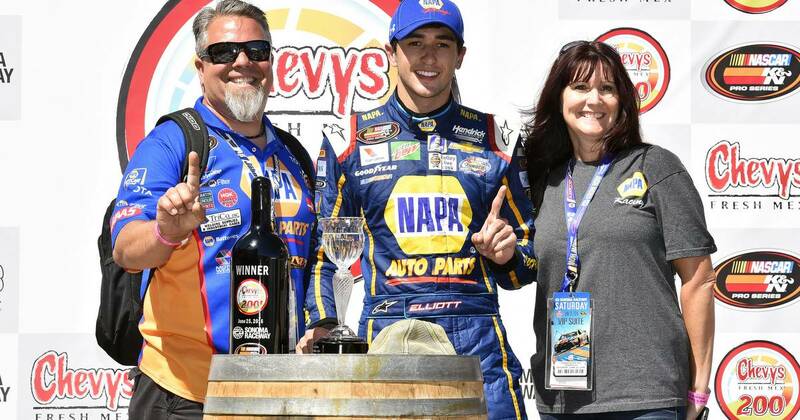 Coming off of a victory piloting the NAPA AUTO PARTS Chevrolet in NASCAR’s K&N Pro Series West race on Saturday, Elliott rolled off of the grid from the 16th spot with a few extra NASCAR road course miles under his belt helping him to navigate the 110-lap Sprint Cup race. He fell back to 20th before settling into the 17th position coming off of the start, but as competitors began to make green-flag pit stops, he moved up to 10th on Lap 25 – and fifth just a lap later – before making his own pit stop. He worked his way back inside the top 20 and was inside the top 15 when a caution flag waved with 65 laps remaining for debris. Elliott headed to pit road, but several competitors remained on the track, and he was back outside of the top 20 at the midway point of the race. 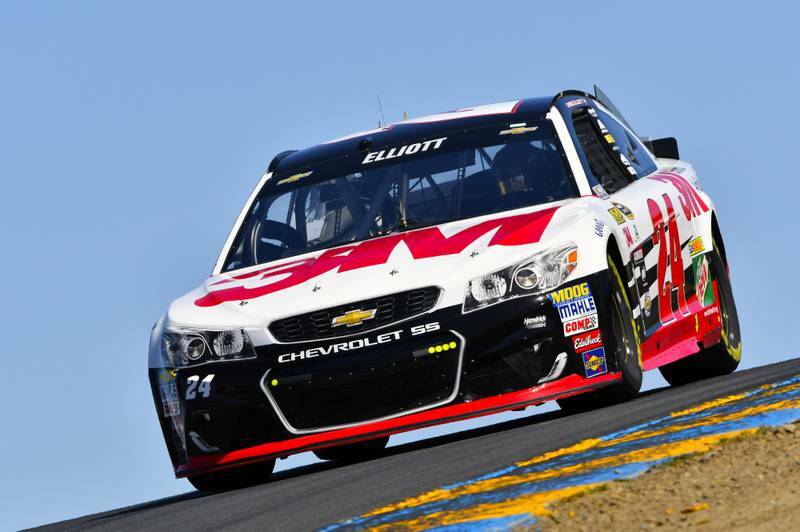 He held steady in the 22nd position for much of the second half of the race through multiple cautions, and with a restart with 14 laps to go Elliott jumped inside of the top 20. He ultimately finished 21st. Elliott’s teammate, Kasey Kahne, led the four-car Hendrick Motorsports contingent to the checkered flag finishing ninth. Dale Earnhardt Jr. finished 11th and Jimmie Johnson took home a 13th-place result. The next event on the Sprint Cup schedule will be at Daytona International Speedway on Saturday, July 2nd. The event begins at 7:45 p.m. ET with live coverage provided by NBC.